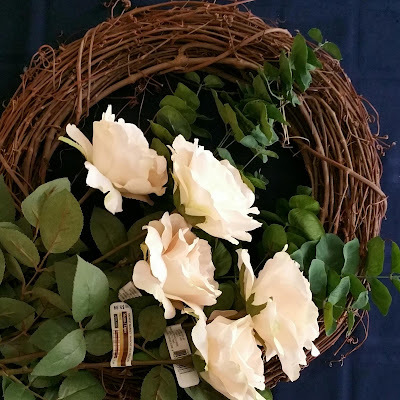 Kate has wanted a wreath to hang on her front door for a long time, so we stopped at Michaels and bought faux roses and eucalyptus to make one using a grapevine wreath she already had. I really love how it turned out and am so tempted to make one for our home! So lovely! 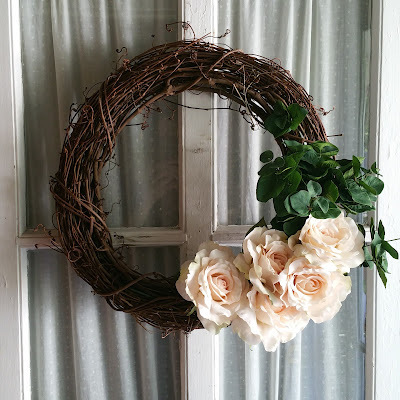 I like to have a wreath for different seasons but haven't tried to make my own. How did you attach the roses and leaves? Hello, Anastasia! I cut the stems to half their length and simply just wove them through. Since I didn't use glue, it gave me the ability to rearrange the stems and make their placement just right!